Otello, the naughty dwarf, is a cool grinning gnome who raises the middle finger. A pleasantly disturbed friend for inside or outside. Choice of various colours. 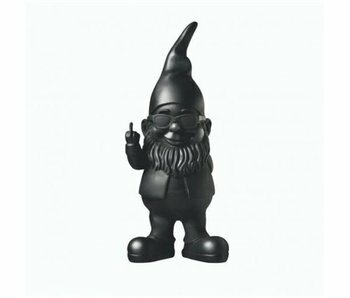 Beautiful, funny gnome that raises the middle finger. A pleasantly disturbed friend for inside or outside the house. Limited BLACK edition. There is also the Color Edition, with many other colors. Beautiful, funny gnome that raises the middle finger. A pleasantly disturbed friend for inside or outside the house. Limited GOLDEN edition. There is also the Color Edition, with many other colors. One of the most dangerous side tables ever designed! This dino looks closely at every visitor, but likes to serve a drink.